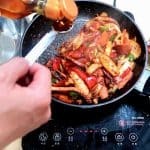 Home » Seafood » Spicy Korean Stir-fried Squid – Skip the Calamari! When I travel through Europe and Northern America, it is hard to find squid dishes in restaurants. If you do find one, it is usually served as deep-fried calamari. 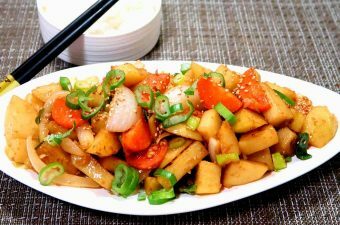 In Korea, we like to eat squid stir-fried in a spicy and tangy chili sauce with fresh vegetables. Today, I will show you how to make it at home. 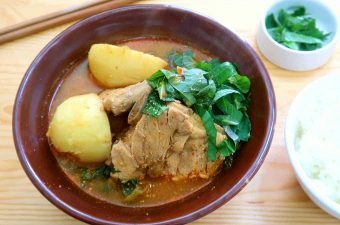 This dish is typically eaten with a bowl of hot rice as it is too spicy to eat alone! 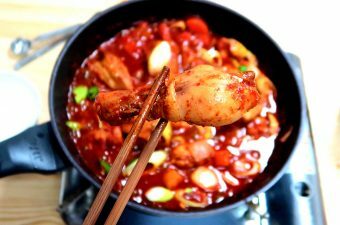 Please note that this recipe requires a teaspoon of Gochujang (Korean red chili paste). 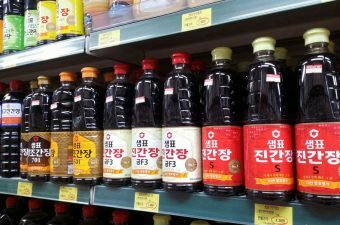 You can find the paste at a local Korean grocery store or from Amazon. 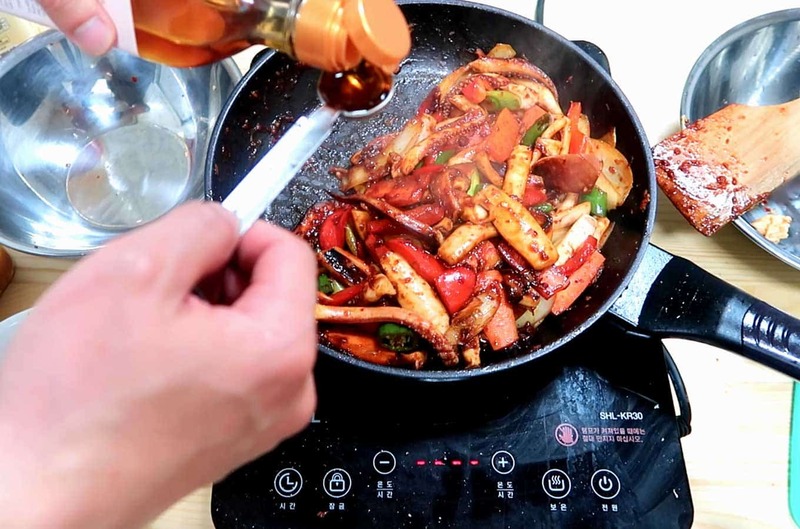 Fresh squid stir-fried in a spicy and tangy Gochujang sauce with fresh vegetables. Cut the carrot into rectangular strips and then cut those pieces in half. Slice the bell pepper and mushrooms into long strips. Slice spring onion and chili pepper at a slight angle. After cleaning the squid, bring a pot up to a roaring boil. Put the squid in boiling water for exactly 2 minutes. Pour out the squid through a drainer. Then cut the squid body (tube) in half and cut it into 1-2 cm thin strips. Cut and separate each tentacle from each other. Take out a mixing bowl. 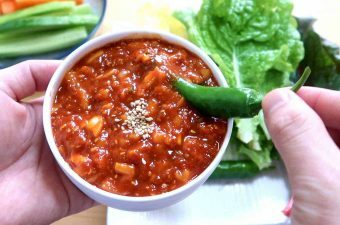 Add Gochugaru (3 teaspoons), Gochujang (1 teaspoon), Soy Sauce (10 teaspoons), Sugar (4 teaspoons), Black Pepper (3 pinches) together and mix throughly. Place a large frying pan on high heat. Add oil to the pan. Then add minced garlic to the oil. Once the garlic starts to sizzle in the oil, add the marinade in. Once the marinade starts to boil, add-in the diced squid pieces. Then add the vegetables. Stir together and coat all of the vegetables with the marinade. Turn off heat once the vegetables are half-way cooked. Add in a touch of sesame oil and give one more stir. Plate and enjoy with a bowl of rice.